2 Not far from Xiamen, about four hours by bus, surrounded by Southern Fujian hills, Yongding county hosts many Hakka roundhouses. Not far from Xiamen, about four hours by bus, surrounded by Southern Fujian hills, Yongding county hosts many Hakka roundhouses. 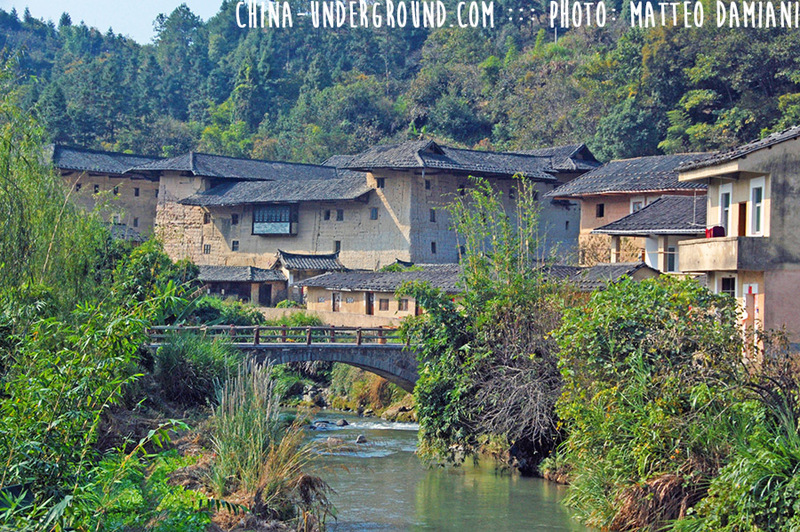 Tulou and nearby area are a perfect example of this architectural style. Disseminated among the valleys of the mountains of southern Fujian, the Hakka communities spread in the region and in nearby Taiwan, between the twelfth and twentieth century gave birth to a very special architectural context, which only recently has been included by UNESCO in the list of treasures of the heritage of humanity. In fact, in the counties of Zhangzhou, Quanzhou and especially Yongding, you can find these formidable buildings still in good condition and still inhabited. The term Tu Lou refers to an architectural context, isolated or gathered in villages, which can reach 3.4 storeys in height, able to gather the members of an entire clan and their families, built most of the time on earth and equipped with a fragile wooden skeleton. Some buildings, especially those of larger dimensions, were built with granite stones and brickwork walls or with a composite material called sanhetu. The walls, built with a mix of earth and rice, are supported by a bamboo skeleton. Hakka Walled Village: Rounded, rectangular or pentagonal. 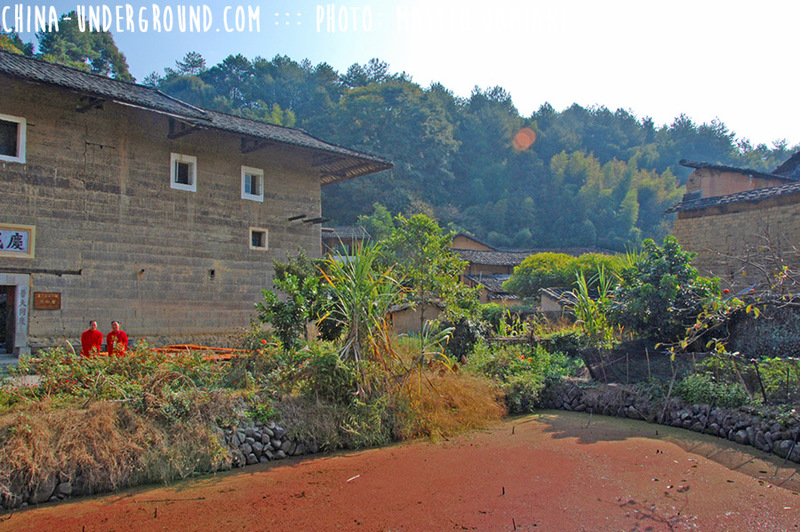 The exotic houses scattered around Southern Fujian. Not far from Xiamen, about four hours by bus, surrounded by Southern Fujian hills, Yongding county hosts many Hakka roundhouses. 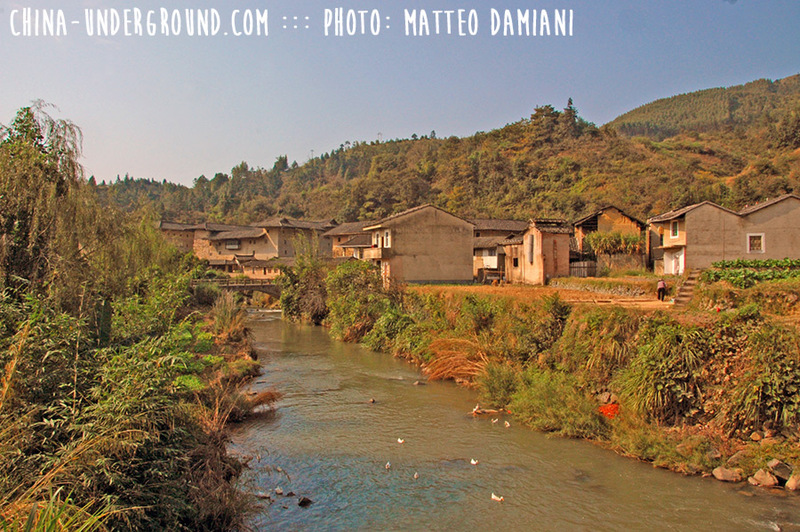 Tulou and nearby area are a perfect example of this architectural style. Several storeys high, they are built along an inward-looking, circular or square floor plan as housing for up to 800 people each. They were built for defence purposes around a central open courtyard with only one entrance and windows to the outside only above the first floor. Housing a whole clan, the houses functioned as village units and were known as “a little kingdom for the family” or “bustling small city.” They feature tall fortified mud walls capped by tiled roofs with wide over-hanging eaves. The most elaborate structures date back to the 17th and 18th centuries. The buildings were divided vertically between families with each disposing of two or three rooms on each floor. In contrast with their plain exterior, the inside of the tulou were built for comfort and were often highly decorated. They are inscribed as exceptional examples of a building tradition and function exemplifying a particular type of communal living and defensive organization, and, in terms of their harmonious relationship with their environment, an outstanding example of human settlement. The Fujian Tulou are the most representative and best preserved examples of the tulou of the mountainous regions of south-eastern China. The large, technically sophisticated and dramatic earthen defensive buildings, built between the 13th and 20th centuries, in their highly sensitive setting in fertile mountain valleys, are an extraordinary reflection of a communal response to settlement which has persisted over time. The tulou, and their extensive associated documentary archives, reflect the emergence, innovation, and development of an outstanding art of earthen building over seven centuries. The elaborate compartmentalised interiors, some with highly decorated surfaces, met both their communities’ physical and spiritual needs and reflect in an extraordinary way the development of a sophisticated society in a remote and potentially hostile environment. The relationship of the massive buildings to their landscape embodies both Feng Shui principles and ideas of landscape beauty and harmony. The tulou bear an exceptional testimony to a long-standing cultural tradition of defensive buildings for communal living that reflect sophisticated building traditions and ideas of harmony and collaboration, well documented over time. The tulou are exceptional in terms of size, building traditions and function, and reflect society’s response to various stages in economic and social history within the wider region. The tulou as a whole and the nominated Fujian tulou in particular, in terms of their form are a unique reflection of communal living and defensive needs, and in terms of their harmonious relationship with their environment, an outstanding example of human settlement.